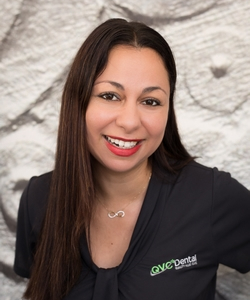 QVC Dental Baldivis is a family practice managed by a team with over 50 years of combined experience in the industry, so we know what you need and want. I’ve always wanted to live in a world eating away limitless fresh foods, gorgeous gourmet meals, and delicious desserts! In pursuit of this dream I took on the initiative to become a dentist as I think we rely on our teeth for general well-being. After graduating as a Doctor of Dental Medicine, I’ve continued to pursue various learning opportunities. I am also a regular contributor to various volunteer groups where I serve as a volunteer dentist. The most fulfilling part of my job is seeing “dentist-fearing patients” converted to “dentist-loving patients” by being an understanding, loving, and caring dentist. When I am not working as a Dentist helping people into better dental health, you can find me whipping up a delicious sugar-free treat, playing volleyball with friends, or contemplating the true meaning of life. I like to treat my patients the way I would want to be treated: with compassion, gentleness, and respect. I understand that some patients stress about a trip to the dentist or may feel anxious and apprehensive about dental treatment, so I always spend time talking with them about their concerns and their dental treatment options. 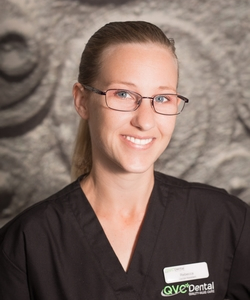 I strive to provide pain-free dentistry that makes each patient’s dental experience as comfortable as possible. A keen eye towards the Art Of Nature allowed me to master the skills of observation since an early age. Having graduated in 2003, with bachelors in Dental Surgery, my desire to blend beauty with dentistry encouraged me to earn a post-grad in Aesthetic Dentistry from State University of New York in 2005. 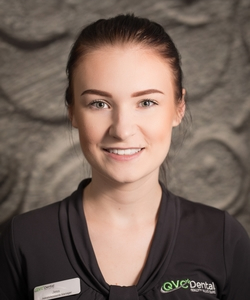 With time, passion for refining my artistry took me to the alluring horizons of Vienna in Austria, from where i earned my Mastership in Laser Dentistry. Over the last 15 years I have enjoyed various facets of dentistry, as lecturer teaching recent advances to post graduated dental students, working closely with leading dental equipment manufacturers in developing ergomatic equipment designs for dentist, had the privilege to work with Noritake Ceramics in Japan with empowered my knowledge in dental laboratory technology (a rare opportunity for a dentist), trained laboratory technicians in creating Aesthetic smiles, designed and developed beautiful dental surgeries for friends. 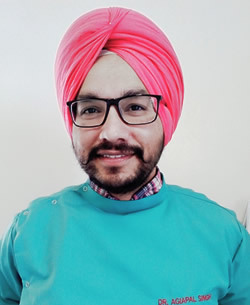 My realisation that an attractive smile extends beyond the border teeth and gums, inclined me to acquire skill in facial aesthetics and that’s were I presently stand, enjoying the course of this amazing journey. In the pursuit of designing beautiful smiles , I need to keep at par with the cutting edge technology such as use of metal-free implants, no prep veneers, gum pigmentation just to name a few. It has been my dream to become a dentist as I have always had a great interest in teeth and oral health. Since I had to go through various dental treatment as a child, I am well aware of uneasiness that comes from the experience. Hence my career as a dentist started with a goal of changing this perception. 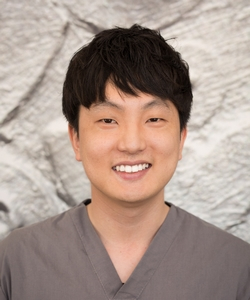 Minimally invasive or conservative dentistry has always been a core part of my treatment, and providing dental care that reflects individual needs is my priority. A relationship between a dentist and a patient is a lifelong journey. We work together towards a common goal of maintaining good teeth and oral health, without having to worry about a fear of coming to see the dentist. 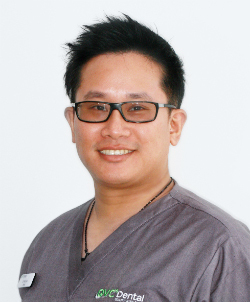 Since graduating from UWA with Doctor of Dental Medicine, I have been constantly trying to improve and broaden my skill sets to accommodate different demands of patients through various courses and professional development. 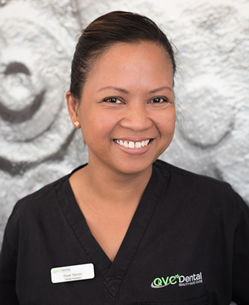 I enjoy providing general dental care for my patients, as well as providing a beautiful smile through aesthetic dental treatment. 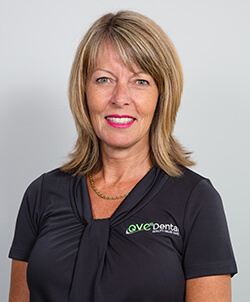 I’ve picked out the very best bits from my 29 year career in managing practices to bring to you here at QVC Dental Baldivis. For nearly 20 years I have fulfilled many roles within the dental industry, I have even worked within the prison dental system! 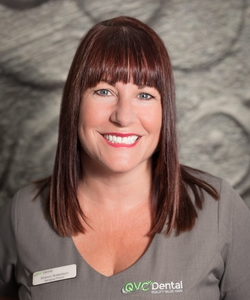 But the last few years I have worked with Sharon and I jumped at the chance to be a part of QVC Dental Baldivis. It was in 2012 when I, together with my family emigrated to Perth. Although I have been in the dental industry for 16 years, I feel there is always something to learn as dentistry continues to evolve. 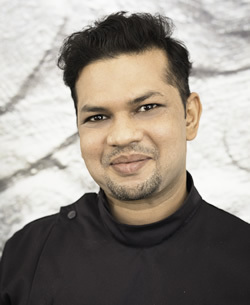 There is nothing more important to me than seeing a patient come out of our treatment room happy and satisfied. I spend most of my free time with my children watching movies, visiting interesting places and getting busy with my balloon business. I also enjoy reading and snorkelling when we go on holiday. 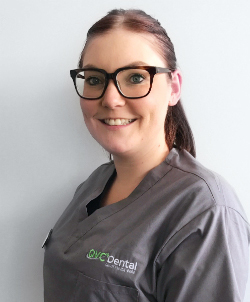 I am currently studying at Murdoch University, as well as working here at QVC Dental Baldivis as a Dental Assistant and Sterilisation Nurse. I enjoy working within this friendly team and meeting new people. I emigrated from the UK with my husband and young daughter in 2003. 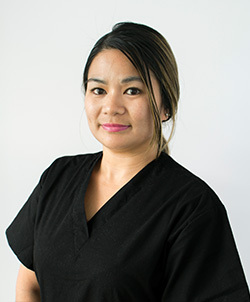 I have worked for Sharon in the dental industry since 2012 and I share Sharon and Metta’s vision for QVC Dental Baldivis. I believe quality, value and care are key. With my extensive experience in customer service, I hope to build the foundations for happy relationship with our patients. In my free time I like going to the beach and travelling with my family. I also enjoy walking my crazy dog Boomer, yoga, interior design and reading. I’m trying to find my love of gardening, but it’s elusive! I’ve recently moved from QLD with my partner and two children. I’ve just started studying a Certificate III in Dental Assisting with Foundation Education, as I’ve always had an interest in dentistry. 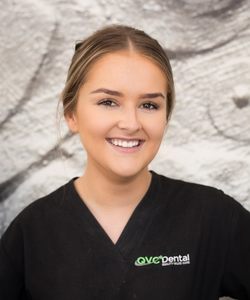 The staff at QVC Dental support me and give me the drive, passion and commitment to push myself further to succeed my goals. When I’m not at the practice, I love spending my time with my family whether it’s camping and exploring more of WA, kid’s activities, watching movies and walking our dog.